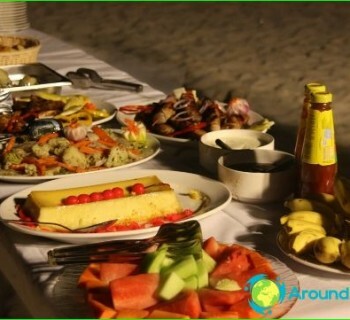 Paradise vacation in the Maldives - a dreamRomantic, divers and honeymooners. Make it a reality for Russian tourists help planes "Aeroflot" at least twice a week to make direct scheduled flights to the Maldives airport. The journey time is 9 hours. Those who wish to search flight options with a nice price recommended airline Srilankan Airlines, flying through Colombo. Qatar Airways, Emirates Airlines and Singapore Airlines, despite its reputation is not too budget, also famous for frequent special offers on flights with connections in Qatar, Dubai and Singapore. Leaving Maldives, tourists should be alert to the need to pay airport tax - $ 10. 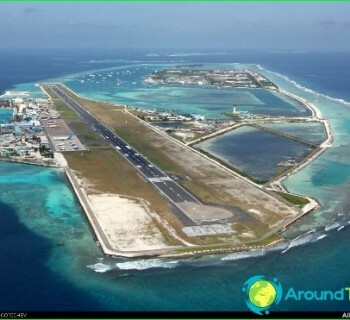 The main international airport in the archipelagoIt located just 2 km northeast of Male. The city where the airport is located, is the state capital and is listed among the most populous on the planet - 6 square. Here coexist km 150 thousand. man. The first international flight to the island of Ceylon in 1962he opened aerosoobschenie Maldives with the rest of the world, and two years later the airport was decorated paved runway. The peculiarity of these air gate consists in the fact that the other four "Vzletka" here - water. The terminal receives international destinationsflights of "Aeroflot", Austrian Airlines, Lufthansa and Condor Flugdienst from Europe. Chinese and Singapore Airlines are the eastern direction, and Air India and SriLankan Airlines - nearest neighbors of India and Sri Lanka. Emirates, Qatar Airlines, Etihad and FlyDudai have in their schedule regular flights to the Maldives airport from Qatar and the UAE. Domestic flights are served in the corresponding terminal. Here you can see passengers traveling to the city Gan, and Kaadedhdhoo Kadhdhoo. The air carrier Trans Makdivian Airways offers its services for passengers to remote atolls of the Maldives. Transfer by seaplane. The base carrier at the capital's airport of Maldives is SriLankan Airlines, performing more than 30 flights per week. It offers passengers the airport - duty-free shops and souvenirs, cafes and restaurants, ATMs and currency exchange offices, a post office and free wireless internet. Transfer to the chosen place of rest is done by seaplane. Rent a car at the airport can not accommodate the Maldives. Details on the work of air harbor on her official website - www.airports.com.mv. 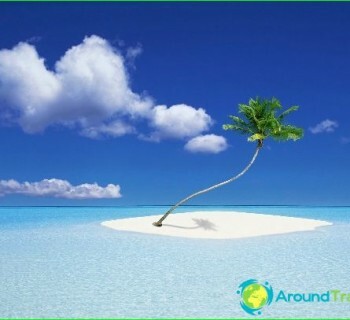 international status and the airport is on an islandGan in the south of the Maldives archipelago. Its terminal is opened for the first time in 2011, and the air gates have now a good chance to be in the long term is not less popular than the capital. In the meantime, Hahn airport receives domestic flights from the capital and seasonal - Colombo, Hong Kong, Seoul and Chongqing.